Claire joined The Passionate PA in January 2018 after a high-flying career with an investment bank. She has proven herself to be an exceptional people manager with commercial focus; Business Development and Strategy are her forte. Meticulously organised and detail-orientated in everything (yes, everything! ), Claire is known for her infectious laugh and can-do attitude. Coffee whilst checking social media, emails and also the news and weather for the day as Ethan, my eldest son, always asks. I help clients across the New Forest but I also have one in Wimborne and one in Canford Cliffs. I tend to work from their offices and my own home office in equal measure and as projects dictate. Business Coach and Psychologist, Luxury UPVC Decking and Fencing, nutrition and well-being, retail and the beauty industry! Seeing the relief on my clients’ faces when I start taking the pressure off and organising projects and tasks for them. I love taking the lead when clients just don’t have the time. I also thoroughly enjoy bringing lessons from my prior corporate experience to the table and offering solutions they may not have considered before. Also, not forgetting the amazing feeling of being my own boss, deciding on the clients I work with and when and also having that flexibility when I need it the most, especially as my husband works away frequently. Finding a happy balance between being the greatest business woman I can be and the greatest mum too. I keep reminding myself that this is a lifestyle choice and I am incredibly privileged that I even have this choice! At the moment, I’m working with a couple that have an incredible opportunity to grow their business at speed but have no ‘middle management’ to support this growth. I am making daily progress with them to help them shape and define their business future and I utterly LOVE how rewarding that is. I didn’t want to go out and do this on my own as I love the support of Kate and her guidance and understanding of the role. The other Passionate PAs are invaluable not only in terms of support but in our shared knowledge and experience! I did not appreciate just how well-known our brand was until recently, this has opened so many doors which, had gone it alone, would not have presented themselves. 18 years in various roles at JPMorgan including a four year stint in Luxembourg. Working on major clients, I was a key player in retaining and turning client relationships around. Management experience, risk and compliance management… big job, fun at the time. But this is rewarding on a very different level. I really enjoy going to clients’ houses or offices as I believe this enables me to really get to know them and provides valuable insight into their lives. We can tell so much by what’s on someone’s dining table!! Otherwise, it has to be The Olive Branch in Wimborne or anywhere with a good, comfy sofa and a delicious lunch. Fillet steak and potato gratin. Walking in the forest with my boys. My Dad. One of the strongest, most intelligent, hardworking and honest businessmen I know. He built a successful company and survived a recession when most local building firms did not. He taught me integrity and respect, and to always go to bed with a clear conscience. My cats. Love their independence and calming presence. 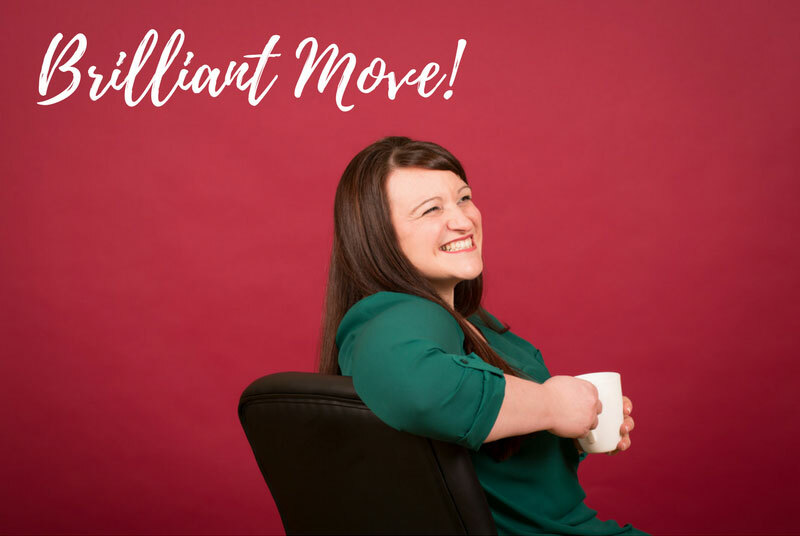 Barbara Cox – she was my first client as a Passionate PA, has been an incredible positive influence at the start of my business and I simply adore her zest for life. Inspirational! To build strong, trusting, local relationships to ensure that I am the Executive PA of choice for Ringwood and the surrounding area. You can find out more about Claire by clicking here! Or, pop her an email and make a date to get together for coffee (or champagne? ).